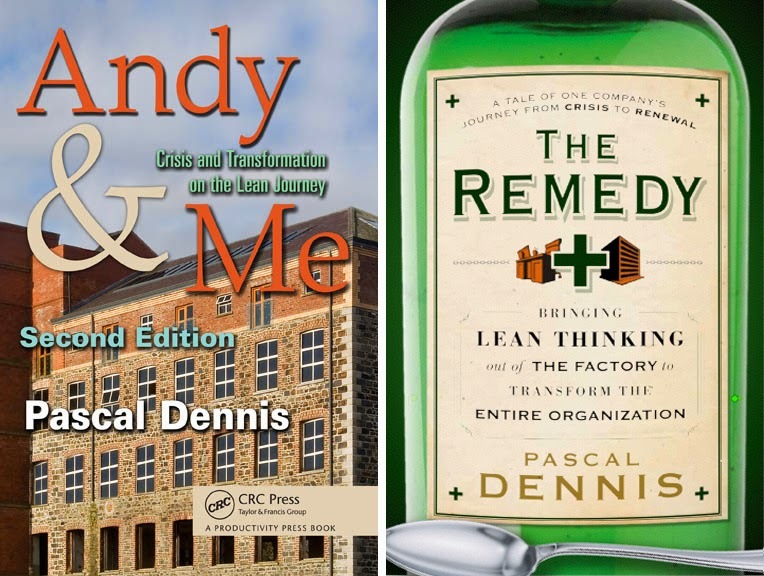 Lean Thinking: The Remedy – Four Year Anniversary! The Remedy – Four Year Anniversary! 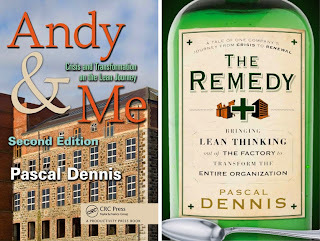 Four years ago this week, I received my 1st Copy of The Remedy – Bringing Lean Out of the Factory to Transform the Entire Organization. I was blown away! Wiley & Sons have outdid themselves. The cover, content, drawings etc. were everything I'd hoped they'd be. All the hard work & heart ache, the endless hours researching & writing faded away. I was proud of the Lean Pathways team, who have taught me so much, and of Dianne Caton, artist extraordinaire, who made magic out of my chicken scratch drawings. The Remedy remains one of my favorite books. Why write a book about Lean outside the factory? Because that’s where the opportunity lies. Upstream - in marketing, design, and engineering. Downstream - in distribution, sales, and customer service. These, together with health care, service, and government, are Lean’s frontier. I am less and less a factory rat. Every core lean principle applies outside the factory. But business processes are harder to fix. The characters of Tom Papas and Andy Saito seemed a natural vehicle. Readers seem to like them, and I do too. We’re still emerging from an economic catastrophe, which claimed many great companies and put millions of people out of work. Lean has the potential to reduce human misery and increase human happiness by doing more with less, while providing meaningful work. That’s enough for me. It's a straight up book from the head & heart. An honest story about real people trying to implement Lean outside the factory. There are study questions at the end of each chapter – and Dianne’s splendid doodles. Pardon the plug, but it’s a damn good book.